A project board has now been put up on site, as well as an acknowledgement to the National Lottery Heritage Fund (formerly Heritage Lottery Fund) which generously supported New Unity with a grant. The organ is now at its new home in Vermenton in Burgundy, France, where it will be restored and reassembled. On Saturday 12th January, a team of hardworking volunteers from the New Unity community came together to help clear out the Newington Green Meeting House ahead of the arrival of contractors later this month. A big thanks to the following (in no particular order) for giving up their time: Andy Pakula, Miriam Lahage, Kathryn Dodd, David Brewerton, David Bidwell, Toby Morrison, Solomon Solomon, Wayne Rees, Nene Topf, Fiona McGain, Roberta Wedge, Charlotte Barrow, Alexis Granum and John Bates. And a big “thank you” in particular thanks to Andy and Miriam for leading from the front to keep everyone on task, fed and co-ordinated! We’d also like to thank Wendy, David and Roberta for spending time logging and boxing up all the archive and heritage material during the week. Here are some photos of the work in action! Nene defrosting - hero award! Built in 1708, Newington Green Meeting House has been a home of radical thinking for over 300 years. 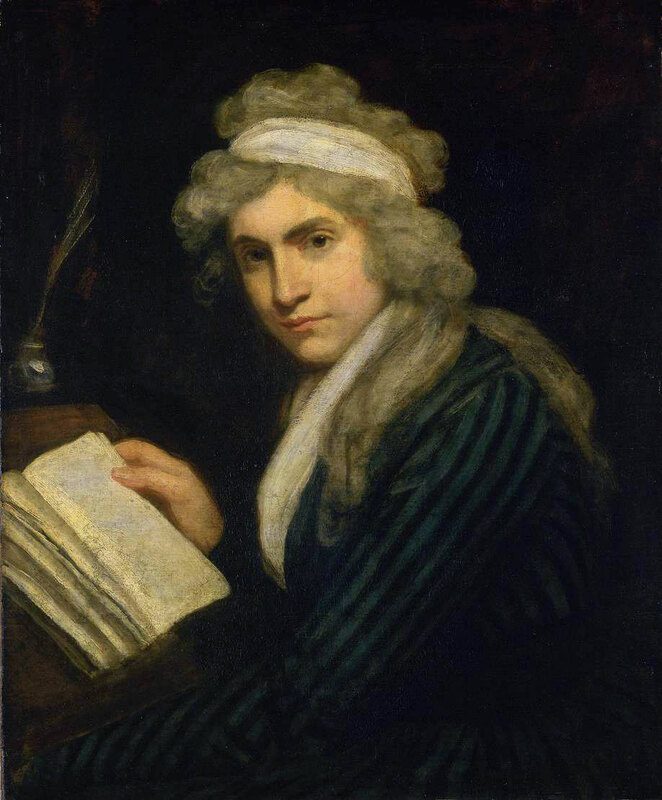 Mary Wollstonecraft – the so-called ‘mother’ of feminism - frequently attended. And this building housed an influential group known as the Dissenters, who campaigned for religious freedom, the abolition of slavery, and social reform. Its most famous member, Rev Richard Price, was frequently visited by several Founding Fathers of the USA, including Benjamin Franklin, Thomas Jefferson and Thomas Paine. Today, the building is home to New Unity, a non-religious church that ‘Believes in Good’. This thriving congregation is proud to continue the Dissenters’ legacy by working towards personal growth, caring community and social justice. Thanks to National Lottery players, the Heritage Lottery Fund (HLF) has awarded £1.73million for major renovation plans. Rev Andy Pakula, minister of New Unity, added: ‘We’ve always been a radically inclusive community, but thanks to the National Lottery, we can now take this to the next level: inviting so many different groups to come and explore the Dissenters’ legacy’. The renovation will take place throughout 2019, with the grand reopening scheduled for Jan 2020. Those 18th-century radicals would have been proud. Thanks to National Lottery players, the HLF invests money to help people across the UK explore, enjoy and protect the heritage they care about - from the archaeology under our feet to the historic parks and buildings we love, from precious memories and collections to rare wildlife. www.hlf.org.uk. Follow them on Twitter, Facebook and Instagram and use #NationalLottery. This Sat 24 Feb, Newington Green Unitarian Meeting House is opening its doors to the local community. Come and see what we've planned in terms of redevelopment, and learn the fascinating story of Mary Wollestoncraft. This event is part of a wider programme of events to engage community groups and other organisations in our Heritage Lottery Fund Bid process. Exciting times ahead for this ever-developing congregation! This is a great opportunity for local communities to get involved in the heritage of Newington Green and its long history of dissenting. Come along and see what it’s all about! Just drop in any time 1-4pm. Public consultation event: come along and have your say! This public consultation event is for members of the congregation, local residents and other interested parties to have their say on the proposed plans, feeding their opinions and ideas into the project. These are extremely exciting times for our historic building. In making it more open and accessible, we hope to engage more people with our history and heritage - and secure its legacy for future generations. So please do come and have YOUR say on what the future of Newington Green Meeting House should look like! Architecture plans: is this what the Newington Green Meeting House should look like? Your chance to review the plans and provide your feedback.